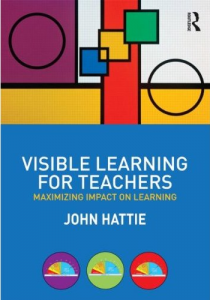 Visible Learning for Teachers draws on the findings of John Hattie’s ground-breaking meta study Visible Learning (2009). 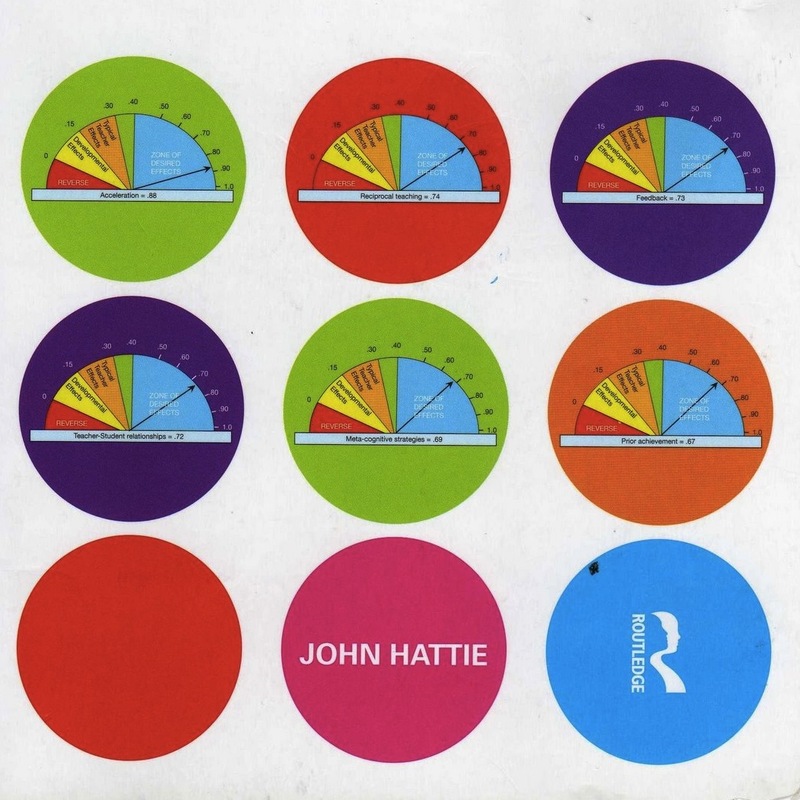 Hattie’s follow up book concentrates on the underlying story behind the data and provides many hands on examples for Visible Learning in the classroom. The book provides evidence based answers to the question: How to improve students’ achievement in my own classroom or school. It is a useful resource for future teachers, experienced teachers, head teachers and school administrators alike. The book explains many of the most powerful influences for students achievement and provides questionnaires, checklists and examples to introduce these aspects of Visible Learning in the classroom. Visible Learning for Teachers aims at ‘making learning visible’ and helping teachers to see learning through the eyes of their students. It also helps teachers to find out how to seek and provide appropriate feedback that helps students getting forward. Hattie’s claims that learning becomes visible when teachers are also learners (i.e. evaluators of their own teaching) helping students to become their own teachers (through metacognitive strategies, feedback and reciprocal teaching). To facilitate this enhanced role of teachers the book takes into account both the perspectives of teachers and learners. Visible Learning for teachers provides detailed explanations to prepare, teach and analyze lessons according to what works best. Providing adequate feedback is an important aspect. Checklists and examples help teachers to try visible learning in their own classroom. School principals and administrators find useful and actionable ideas for school development based on visible learning. 13 other websites write about for "Visible Learning For Teachers"